-First you have to choose furniture for your dining in highlighting pieces of net and simple lines. -You could combine a wooden table in a natural color and simple design, with colorful chairs and attractive design. -For the modern dining acquires a natural and fresh air, add potted plants of different shapes and sizes to every corner. 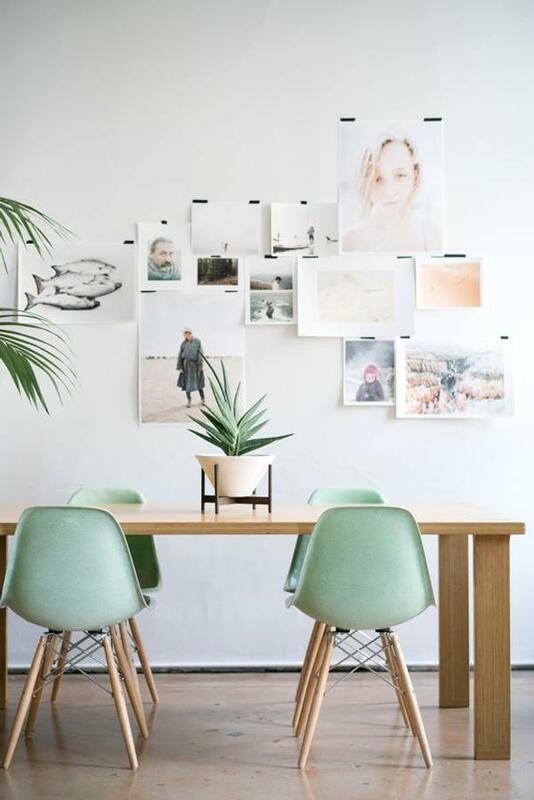 -Decorate a wall with photographs, pictures and frames. -To create a modern dining area, you can choose to break with the structures and hang the pictures or sheets simply using washi tape.